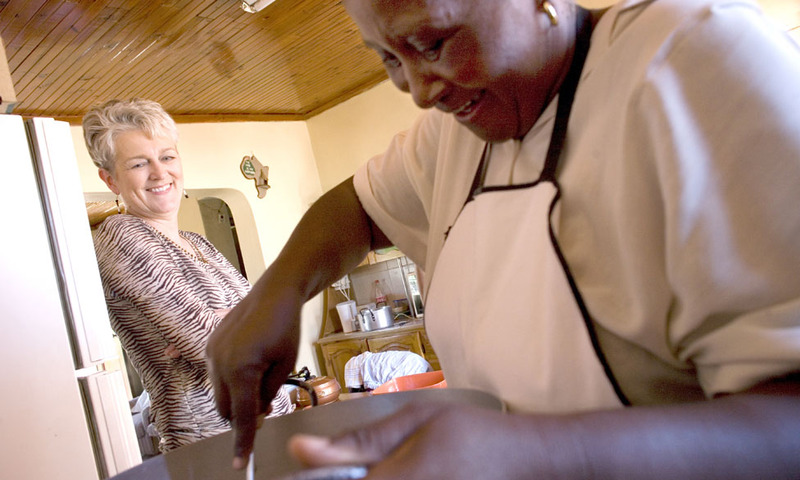 andulela’s African Cooking Safari is an unique opportunity to get in touch with locals of the vibrant, urban township of Langa. Explore African food, beverages and culture on our hands-on cooking experience! A walk about offers insight into the everyday life of locals living in Langa, focusing on food and cultural traditions. By offering real opportunities for visitors and locals to interact in a natural way, our experience of a township steers clear of voyeurism. Real life stories unravel naturally and we hope, leave guests inspired. The real highlight is the hands-on, fun-filled cooking session that takes place in a local family’s home. Whilst the menu may vary, the meal includes a variety of dishes. There after we sit back, chat, relax and enjoy a typical meal with our hosts. This is a perfect way of experiencing warm local hospitality and of learning more about local culture through the theme of food.